Mercury Free (Amalgam Silver Filling Free), Mercury Safe, Holistic, Cosmetic, and Family Dentistry, Biomimetic Dentistry – Biomimetic rebuild after mercury removal. 2. Rebuilding the teeth properly to protect the nerve and create a long-lasting restoration that mimics the density and flexation of the original tooth. He does this by using biomimetic dentistry and building up the teeth in layers of composite and sealing the dentin off so that future decay or bacteria CANNOT reach the nerve under any cirmcumstance. This is also important because using this technology, the tooth can be saved from being hacked-down and prepared for a crown. 3. Avoiding blowing into the root, causing the need for a root canal, during the removal procedure. Also, winding up having to hack down the tooth entirely to place a crown. He strives to avoid both of these situations and does an excellent job because of his advanced biomimetic techniques. He has been mercury free for over 15 years and he safely removes amalgam (silver) fillings based on the recommendations of the International Association of Mercury Safe Dentists (IAMSD), the International Academy of Oral Medicine and Toxicology (IAOMT), and other prominent biological and holistic dental organizations. For information about why it's important to use a mercury safe dentist, Click Here. We encourage you to sign up for his free holistic dental course to learn more at www.freeholisticdentalcourse.com. By doing a Clifford Blood Test to determine the perfect materials, Dr. O'Malley is able to rebuild your mouth with peace of mind knowing that your body will not have a reaction to what is used. Dr. O'Malley is one of only a handful of biomimetic masters on the planet. He is also one of the only masters that is highly trained in holistic and biocompatibility. He continues his education in biomimetic by attending 1-2 advanced learning courses per year on the subject of biomimetic. Dr. O'Malley creates smiles that look just like natural teeth but are beautiful. He recommends that his patients that do extensive dental work simply tell their friends and family that they "had braces as a kid, wear their retainer, brush 3 times per day, floss once per day and have a great diet" to see if people will actually think it's their natural teeth. He has never had a patient that wasn't able to do this successfully. He thinks that white, bathroom-tile floor veneers don't look good and are far too obvious. Using biomimetic dentistry, he is able to bond veneers to dentin at over 400% bond strength of conventional dentistry. He also does ultra-thin veneers, so he doesn't hack down all your good tooth structure, but only lightly prepares the teeth for the veneer. This leaves behind a nice, big, sturdy tooth behind so you never wind up with brittle, cut-down teeth. O'Malley can create the smile of your dreams - just imagine yourself with a beautiful, new, natural looking smile! Click Here to view our Smile Gallery! Dr. O'Malley is a pioneer in both biomimetic and holistic dentistry. By combining both technologies together, he has created a superior service that allows your dental restorations to last much longer than conventional dentistry while also using healthy materials. With biomimetic dentistry, he can seal the nerve and protect it from vicious bacteria. This is an important aspect to think with when getting your mercury fillings removed: how long will the new restoration last? Winding up in crowns and needing root canals after getting your mercury removed leaves you regretting your decision and you should NEVER regret your decision to remove that poison from your mouth. Biomimetic dentistry makes this a reality..
Our fantastic staff is made up of highly-trained, dedicated, caring and motivated professionals who work together as a unique team to bring you the highest quality holistic and biomimeitc dental treatment in a healthy, caring, and supportive setting. As a member of Dr. Tom McGuire's International Association of Mercury Safe Dentists (IAMSD) we work closely with him to support our goal of providing important information to our patients about numerous oral health that can affect overall health, including issues related to mercury amalgam (silver) fillings. Click on the appropriate link to access important information about these topics. I've known Dr. O'Malley for many years can consider him to be a highly trained, experienced and skilled, caring, holistic and mercury safe dentist. I am impressed with the depth of his knowledge and understanding about the critically important relationship of oral to overall health and his effort to educate his patients. He utilizes his knowledge and training when designing dental treatment plans for his patients. 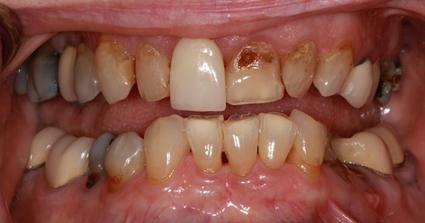 Dr. O'Malley is exceptionally well-trained in many areas of holistic and traditional dentistry. His advanced and ongoing training in holistic, traditional, biomimetic, and cosmetic dentistry and his concern for the safe removal of amalgam fillings makes him ideally suited to remove and replace them. I highly recommend him to anyone seeking a caring health focused and mercury-safe dentist. Dr. O'Malley is also a Charter Member of the International Association of Mercury Safe Dentists (IAMSD) and a member of the prestigious IAOMT. I encourage you to visit his website to learn more about his philosophy of mercury free and healthy dentistry. When you visit his office, please let him know where you found out about him and say hello to him from me. Thanks!